Kim Kardashian might annoy some people (most people), but I don’t think any of those people would want for her to be tackled to the ground by a crazy person while arriving at a super swanky Paris Fashion Week event, right? Sometimes celebs push our buttons, but we’d never wish harm upon them. That’s why we think Vitalii Sediuk — the Ukranian prankster allegedly behind the attack — needs to find a new hobby. Sediuk is also known for tackling Will Smith, Leonardo DiCaprio, and Brad Pitt. Surprisingly, he was not arrested after this attack. And you won’t believe who rushed to Kim’s aid: The Paparazzi! The paps, in concert with security guards, supposedly stepped in to pin down Sediuk, giving Kim and her crew ample time to flee the scene of the prank. 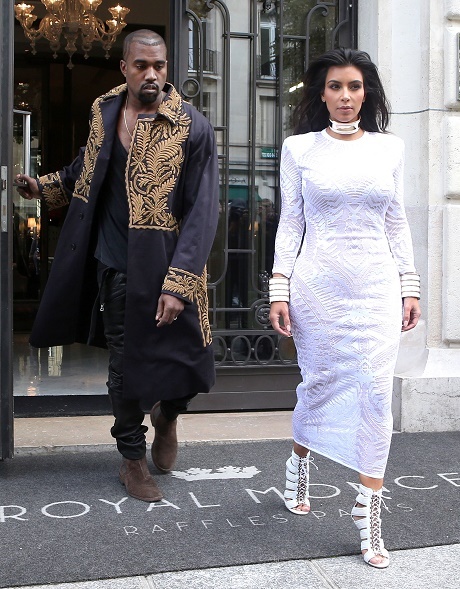 According to TMZ, the event went down after Kim, Kanye West, and Kris Jenner arrived at the event in Paris. Sources say that there was a crowd of countless fans waiting for them to arrive, just to get a brief glimpse at the stars. As Kim’s getting out of the car, which you can see in the video over at TMZ, Sediuk lunges for her. Kris Jenner looks on in horror. The scene is REALLY crazy. Part of our soul feels sad that Kim and her crew had to deal with all that. But, I mean, that’s part of the Fame Game. We’re just glad she’s all right! Lamar Odom Refuses Kris Jenner’s Thanksgiving Dinner — Khloe Kardashian Skips Out Too!